Minimum time requirement for 200m front crawl is 4:15 or under. At this stage swimmers will also be required to train a minimum of 2 but suggested 3 times a week. Be willing to represent Alton & District Swimming Club at inter club Galas both home and away if selected. Offer parental help to the club. The following promotion criteria applies to the competitive squads. All swimmers promoted to these squads are done so initially on an initial terms trial. Failure to uphold the standards required or attend the required sessions may result in the swimmer being move back a squad or recommended to join the Recreational Squad. An end of term review between the senior coaches will be convened to discuss this. 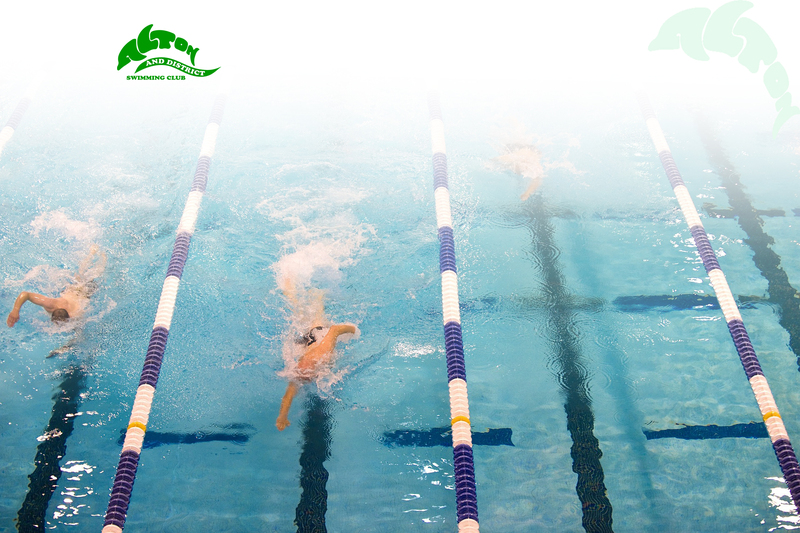 At this stage swimmers, will be required to attend a minimum of 3 training sessions a week. Ability to swim 400m Front crawl, 200m Backstroke, 200m Breaststroke, demonstrating efficient and legal technique. Work towards swimming 4 x 50m Fly repeats. Swim 100m IM legally, including turns. Representing Alton & District Swimming Club at inter club galas both home and away (if selected). Enter at least one open meet per term. This squad is unique and entry to it is by invitation of the Head Coach only (in discussion with the senior coaching team). Target: To give an opportunity for our young talented swimmers to start on the competitive pathway early enough to be able to get HCASA qualification times from 10/11 yrs. Qualify for SER regionals from age 11/12 and qualify for nationals in accordance with current age bandings. Squad Criteria: Age 9-11, willing to do 5 sessions a week and want to achieve targets above but too young or not ready to join Top Squad. Pathway: currently being updated . . This squad is designed as a transition squad to Top Squad. Swimmers are to be able to train alongside Top Squad at a minimum of 2 x 90-minute sessions (Wednesday, Friday or Sunday) per week. They will also swim a minimum of 2 other standard Sharks sessions from either (Mon, Tue, Thu or Sun). This means swimming a minimum total of 4 sessions (5 Hours) per week in order to train hard and regularly enough in order to improve to promote accordingly. Must have already achieved a minimum of 2 sprint and 1 of the 200m times (either FC or IM) relevant to age. Must be able to maintain normal Sharks squad criteria. Members of this squad must be competitive and are competing regularly every term. The swimmer will either move to Recreational squad or Top Squad depending on the development gained and criteria being achieved. End of term performance reviews will determine if the swimmer remains in the squad. Currently being updated . . Promotion to Top Squad should be seen as the next step on the ladder and not the end of the long line of promotions. TEST SET carried out in a 90 minute session.